Tumut 3 Power Station. 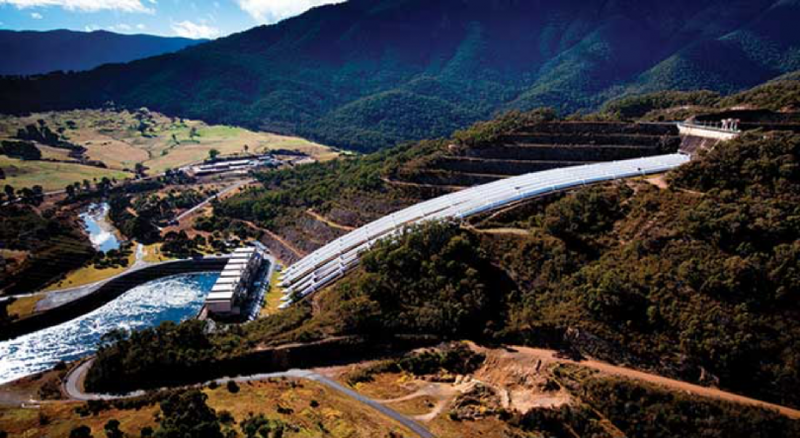 Photo: Snowy Hydro. Momentum around Snowy 2.0 keeps gathering speed with the Morrison Government today approving the revitalised pumped hydro scheme as part of its renewable energy plans for Australia’s future energy mix. “The Government is pleased to announce shareholder approval has been given for Snowy Hydro Limited to proceed with Snowy 2.0,” Prime Minister, Scott Morrison says. The next step in the historic project was announced at the Tumut 3 Powerstation, a location that demonstrates the potential the government sees. “I stood in this very spot (as a child) with my grandfather (Sir William Hudson), who had recently retired as chief engineer and commissioner of the Snowy through the construction phase,” says Energy Minister, Angus Taylor. “It was only a year or two after this powerstation (Tumut 3) where we stand had been opened. The Federal Govt is committing $1.4 billion to upgrade Snowy Hydro, to provide all important power back-up and storage for future generations. 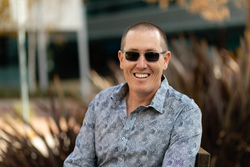 Initiated by former Prime Minister Malcolm Turnbull, its hoped Snowy 2.0 will reduce volatility within the changing electricity market and address electricity price concerns. “Following Snowy Hydro Board’s final investment decision on December 12, the Government has reviewed the project’s business case and is satisfied that the project stacks up and will benefit energy consumers and the Snowy Mountains region,” Mr Morrison says. The Government has committed up to $1.38 billion in an equity investment for Snowy 2.0, with the remainder of the project to be financed by Snowy Hydro Limited. “Almost 70 years after the first sod was turned on the mighty Snowy Scheme, we will do it all again,” says Snowy Hydro CEO Paul Broad. “This significant expansion of the Snowy Scheme will provide the storage and on-demand generation needed to balance the growth of wind and solar power and the retirement of Australia’s ageing fleet of thermal power stations. “Snowy 2.0 is not only a sound business investment for Snowy Hydro with over 8% return on investment. It also represents the most cost-effective way to ensure a reliable, clean power system for the future. “When it is completed, Snowy 2.0 will be able to deliver 2000MW of on-demand generation, up to 175 hours of storage, and deliver more competition that will keep downward pressure on prices. “Snowy Hydro has a strong track record when it comes to pumped-hydro. For decades we’ve been successfully operating our pumping capability at Tumut 3 and that has been invaluable, especially in years of drought,” Mr Broad says. The Prime Minister says Snowy 2.0 will create up to 2,400 jobs in construction and support up to 5,000 direct and indirect jobs across the Snowy Mountains, and provide opportunities for local businesses, improvements in local infrastructure and increased economic activity. “Planning for the Snowy 2.0 project is well advanced. The Government’s decision green lights the project to progress to the early works stage,” Mr Morrison says. Earlier this month the NSW Government gave planning permission for Snowy 2.0 exploratory works to start in Lobs Hole Ravine region between Tantangara and Talbingo Dams. Hydropower will be generated by falling water spinning Snowy 2.0’s giant turbines, which can also pump water in the opposite direction. This closed system allows water to be used more than once between the upper dam (Tantangara) and lower dam (Talbingo). A spokesperson for the National Parks Association (NPA) of NSW has labelled the environmental controls around the project as unsatisfactory. “While a nation-building project, the Snowy Mountains Hydro Scheme caused enormous environmental damage across 380 sites, 36 requiring major earthworks and revegetation,” the NPA spokesperson says. While the NPA supports a shift to renewable energy to decarbonise the electricity sector and supports pumped hydro as a component of this shift, it remains opposed to Snowy 2.0 despite the government’s assurances. Snowy 2.0 is expected to take five years to complete. Snowy Hydro 2.0 began as a political expedient by a prime minister trying to implement sane policy while pandering to the science deniers in his party, in much the same way that he came up with an alternate NBN (isn’t that going well! (Sarcasm)). The advocates of the SH 2.0 seem to be politicians interested in maintaining centralised power rather than independent experts. Ian, how about a follow up with Andrew Blakers on the work he is doing on distributed pumped hydro networked with distributed renewable generation as an antidote to this centralised, politically inspired, scheme. A distributed system would be inherently democratic through being community focused while SH 2.0 or scomo in Tassie today favours centralised State/Corporate power.